If you wanna travel or currently travelling around Southeast Asia, one thing you can’t skip is visiting Malaysia. 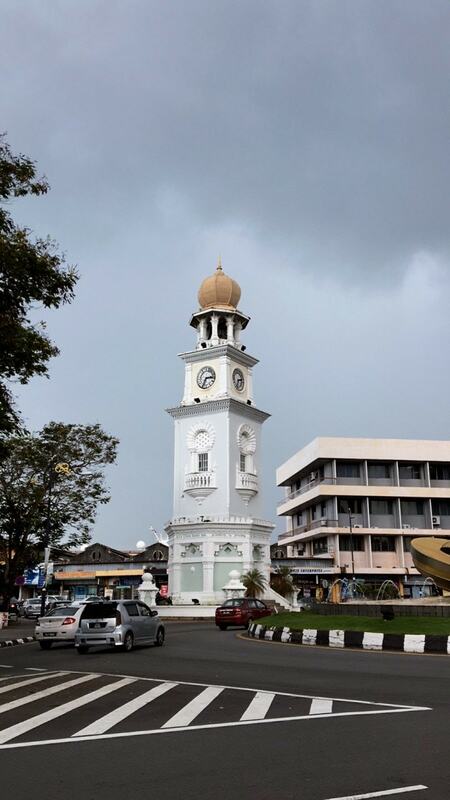 We love the country, especially its capital Kuala Lumpur and Melaka. There are many activities you can do in the city. We love the Malaysian gastronomy since it’s multicultural. It was influenced by India and China. You can also find delicious tropical fruits in Malaysia. 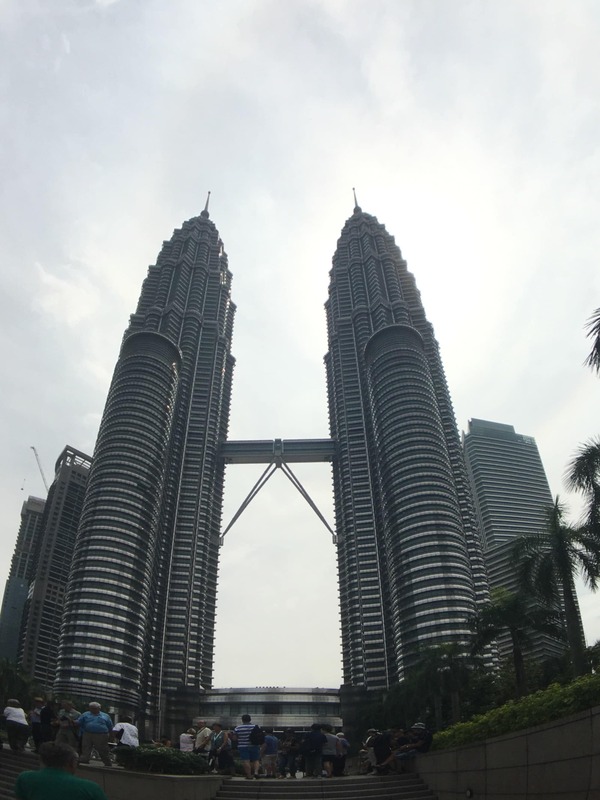 Read here budget travel in Malaysia and how much do you need per day! One of the reasons why we love to travel to Malaysia is because it doesn’t take too long to arrive here from the Philippines. You can flight either from Manila or Clark. There are reasonably cheap flights. So, no excuses! 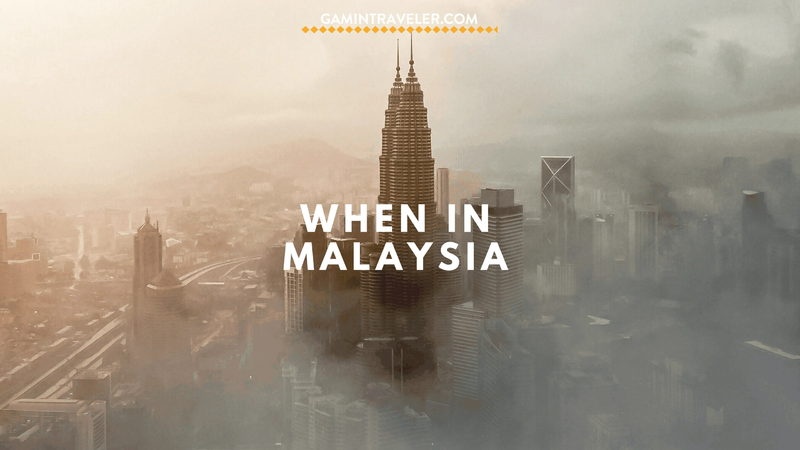 Apart from the little distance and flight convenience from Philippines to Kuala Lumpur, it’s also easy to travel to other Southeast Asian countries when you’re in Malaysia. You can travel from Kuala Lumpur to Phuket. It’s only a short flight and Phuket is a great destination after spending a few days in the beach. It always feels good to travel to a beach after a long city trip. If you plan to travel Malaysia, good news about visa requirement! Kuala Lumpur can be visited by tourists from different countries without Visa. Check out this list to make sure you have free visa and to see the number of days you are allowed to travel in Malaysia. Well, we have to say that Malaysia is very rainy. Dry season starts from April to October and the wet season goes from November to March. Prices for transportation in Malaysia are very affordable and the quality of the services are great. There are buses around the city that you can ride for less than $1. There is a metro moving around the city to avoid being stuck in a traffic jam. You can also rent a taxi if you want more comfort or in a hurry. One good thing about Malaysia is that almost everyone there can speak in English so it’s easy to communicate and move around there. If you want to travel around from a far point. There are buses, trains and cheap flights as well to help you have a comfortable transportation in Malaysia. It depends on how much time you need and will be spending in the country. 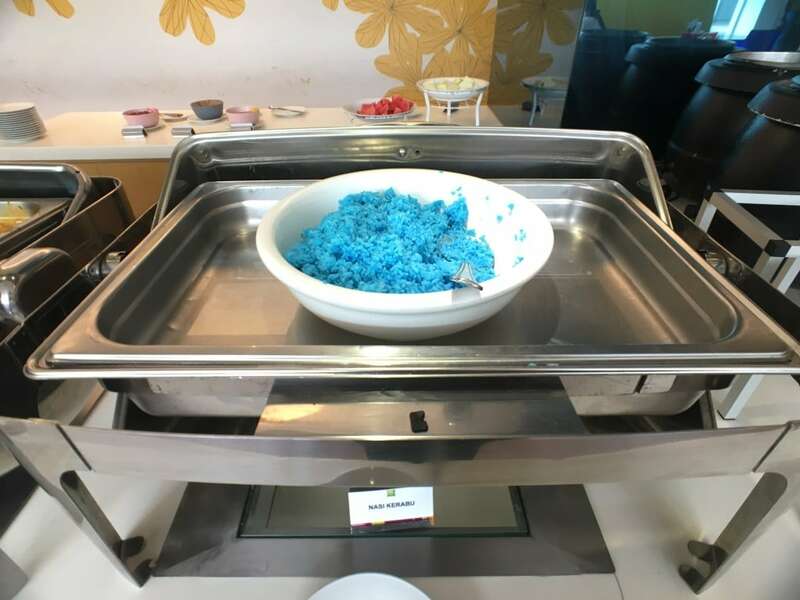 This dish surprised us since it was our first time we tried blue rice. 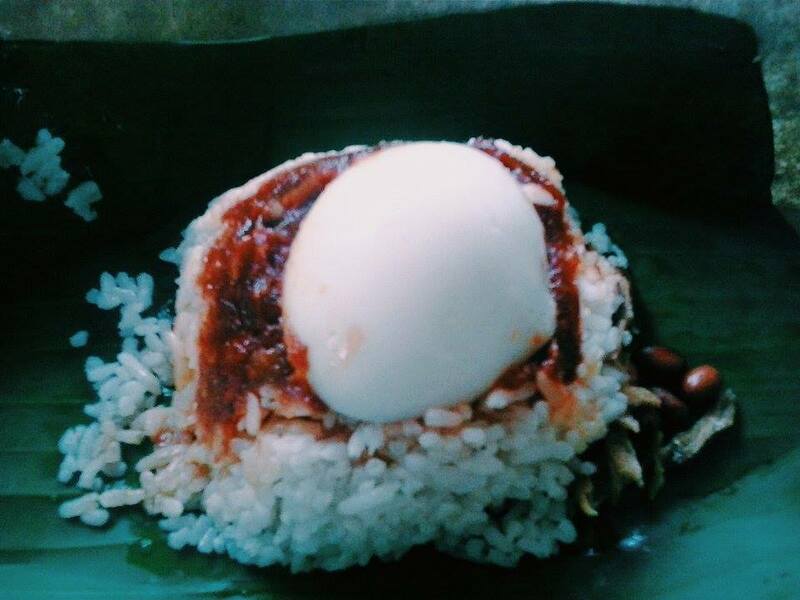 If you want to experience a local’s breakfast in Kuala Lumpur, Nasi Lemak is a must try. This is my favorite dish in Malaysia. It´s rice cooked with coconut milk and it´s served with boiled or fried egg, anchovies, peanuts and sambal (spicy sauce). 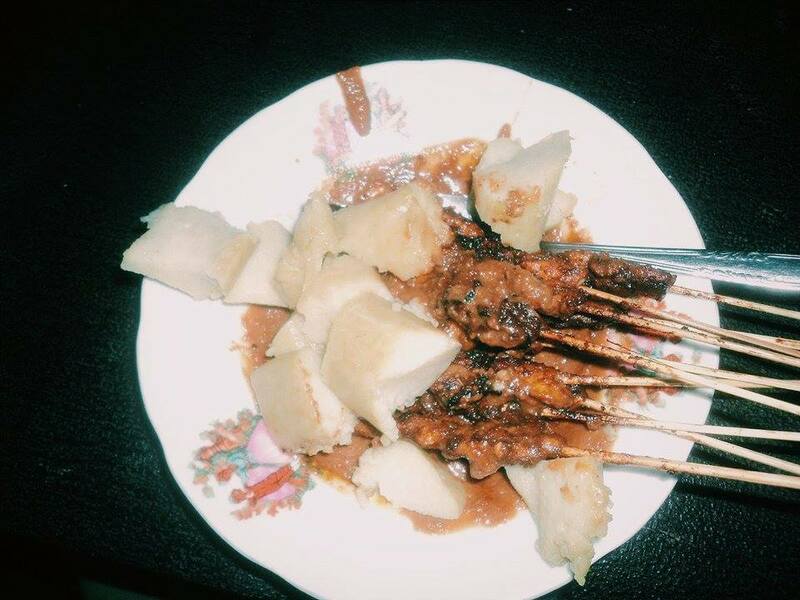 At dinner time, you can find satay everywhere. This is Rachel´s favorite dish. It´s chicken barbecue or meat with sauce. We loved eating it with peanut sauce and pairing up with sticky rice. The capital of Malaysia could be the perfect place to start your travel around the country, especially if your flight lands here. There are many places to visit: Batu Cave, Twin Towers (which looks awesome during the day and beautiful during nighttime because of its lights), Chinatown, and Little India (which is perfect for shopping and trying local dishes). 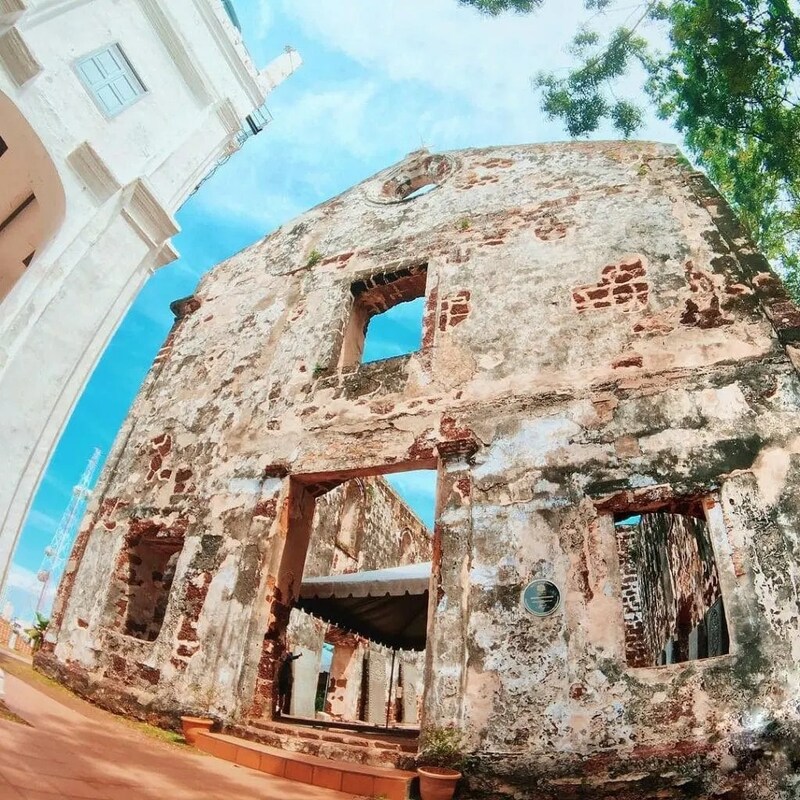 This small city was a Portuguese colony and their architecture is different from the rest of the country. You can rent a bicycle here and explore this amazing place. If you want to try the best local food, you should visit Penang. There are temples and you can encounter people of different religions in this city. If you feel like relaxing in the beach during the day, you can visit Batu Ferringhi. It will take you a 30-minute bus ride to get there. 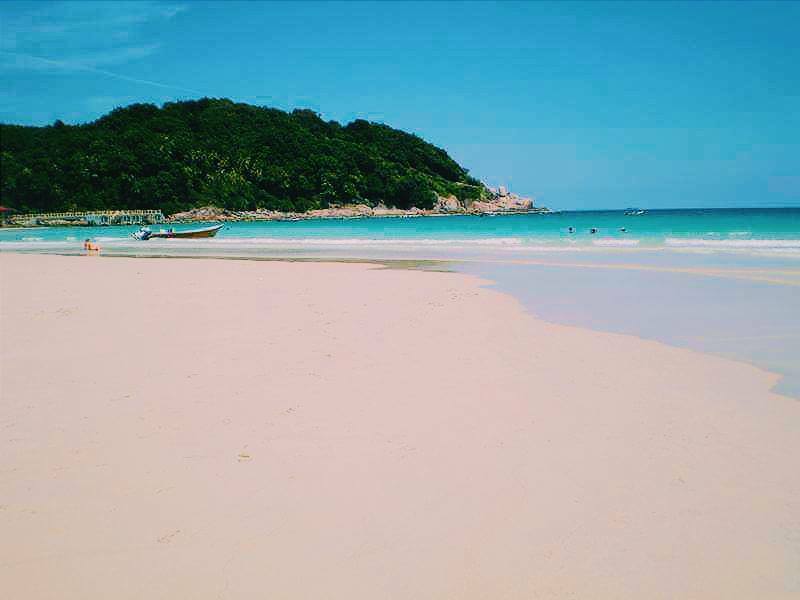 This is the paradise in Malaysia. It´s a perfect place for snorkeling, diving, swimming and relaxing. Its blue and transparent water with blue sand will make so your visit in this island special. And if you want a travel guide to Malaysia in a low budget, check here to see our full guide with all of our recommendations. indeed, you cannot miss KL. We stayed at the 5 Elements hotel in the heart of Chinatown. best place for bargain souvenirs.